A mix of crimson, white and red clover. Green manures are plants that are grown specifically to build and maintain the fertility of the soil and are always incorporated into the soil. 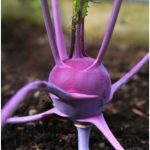 They can be used whenever your plot is unoccupied either over the winter, before a late sown vegetable or after an early crop such as early potatoes. 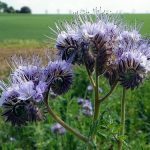 A long-term green manure can be an alternative to compost or manure if it is unavailable. Prepare a good seed bed and broadcast (sprinkle) the seed over the bed at the recommended seed rate. You then rake the seeds into the soil. If you have weedy ground you can also sow them in rows to allow for weed control between the rows. White clover is not suitable as a quick crop. It really needs to be in the ground for a whole year to show its benefits. 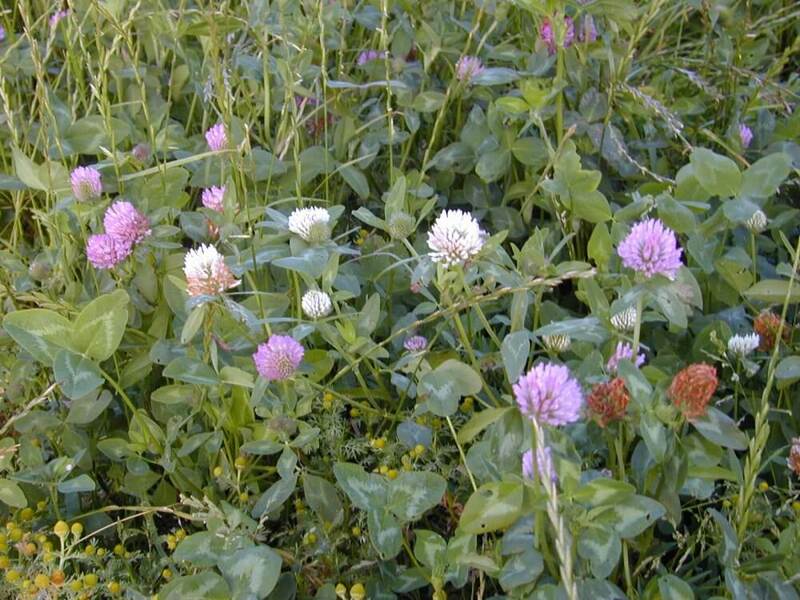 The best use for white clover is to undersow it with tall crops such as sweetcorn, kale or Brussels sprouts. There has been a lot of scientific research done on this. Apart from fixing nitrogen, researchers have found a massive reduction in common brassica pests if they were undersown with white clover. That’s how you do it: you broadcast the clover seeds in May onto a fine seed bed and plant your vegetables into the clover in mid May after clearing a small space for planting. 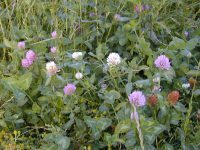 The white clover needs to be cut at least twice during the growing season so it doesn’t compete too much with your crops. Red clover is the best nitrogen fixer of all. It also needs a long growing season. It can stay over the winter months and incorporated into the soil in early spring. 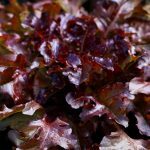 As it has fixed large amounts of nitrogen it should only be followed by greedy plants such as the brassicas, leeks or perpetual spinach. If you want to give your garden a rest, this is the ideal plant. You can sow it in early May. In this case you will have to mow or strim it a few times, leaving the mowings on the ground. Crimson clover has a more upright growth with the most attractive crimson-coloured flower heads. It really is an amazing sight but in terms of nitrogen-fixing it is much inferior compared to red clover.